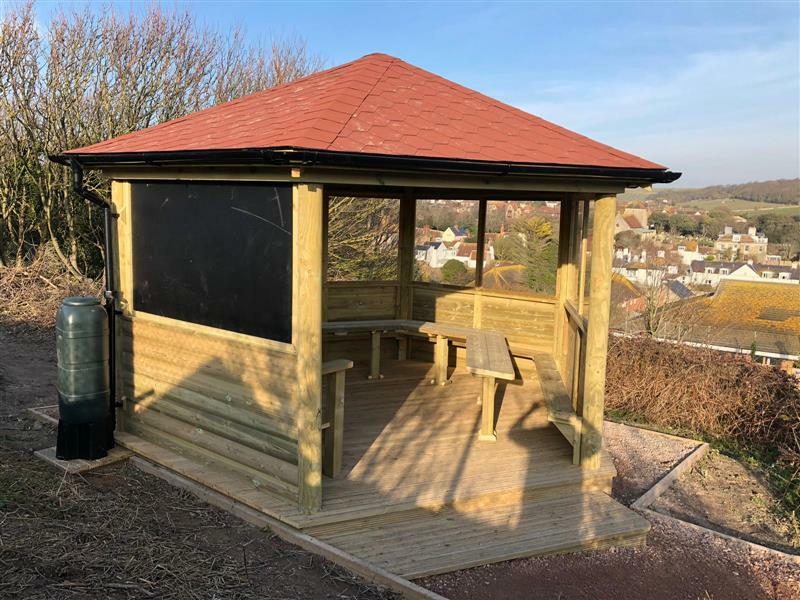 This very special project in Rottingdean, Brighton, saw the transformation of an overgrown wasteland area within a school’s grounds, that had remained unused for over 30 years. It was special because our Playground Consultant, Donella Felton, had the pleasure of working not only with the Head Teacher of Our Lady of Lourdes RC Primary School, the governors and the PTA but also with the school’s hard-working Pupils’ Eco-Council, run by the children, who were tasked to make key decisions about the design of the area. 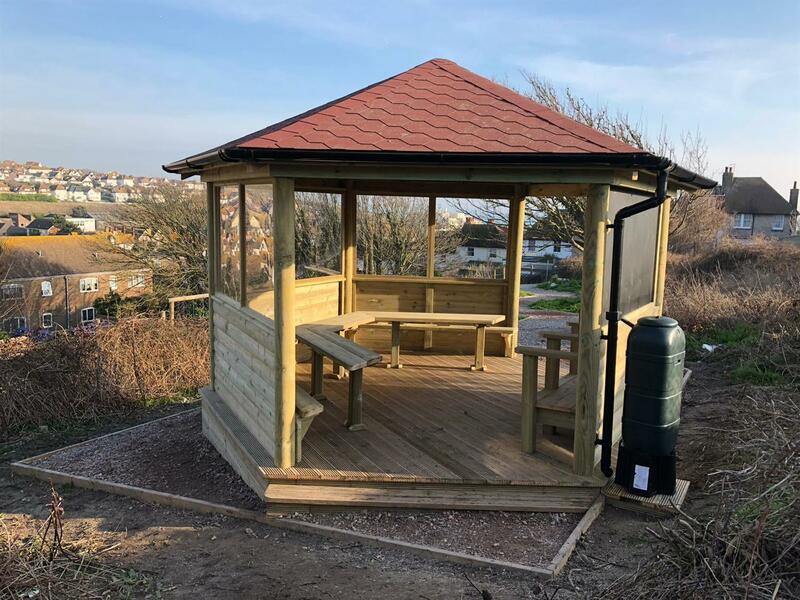 The space has now been completely reinvented to create a beautiful, natural outdoor learning area, which the school have named their “Magic Pavillion and Wildlife Grounds”. Once the area had been cleared and we had created access to the site, the exciting installation of a brand new bespoke Hexagonal Gazebo began. Situated in an elevated position with breathtaking views out over the rolling South Downs and all the way down to the sea, it’s a fabulous spot for learning amongst nature. The Outdoor Gazebo itself is fully cladded in high pressure treated natural timber. Glazing around one side provides shelter from the winds, while really opening up the view and letting the natural light flood in. Two open entrances on the opposite side keep the space really connected to the woodland area, offering easy access to shelter and a great base for the children to gather together for outdoor learning. Inside the Gazebo is furnished with matching wooden bench seats and workstations, to accommodate groups of children working together. They face one of our superb Story Telling Chairs, designed to bring story time to life in an outdoor environment. An integrated Giant Chalkboard acts as a useful multi-functional display board to be used by teachers and children alike. We resurfaced the area around and leading up to the Gazebo, to provide access via a winding pathway which adds to the magic and mystery of the space. We were thrilled to be invited by Our Lady of Lourdes School to their Magic Pavillion Launch Day. The Head Teacher, Paul Beverton, explained to us how neighbours who live in the surrounding area had approached him, saying that in over 30 years of living in the area, they had never seen the space actually being used before. It was a dream that they could make it into something special for the children, and now for them it feels as though their school is going from strength to strength. The space was officially opened by Dee Simson, Mayor of Brighton and Hove. She spoke about how she has been involved in different ways with Our Lady of Lourdes School for 32 years as a parent, a member of the PTA and as a governor. In that time, she has seen some amazing changes to the school but out of all the developments she has seen, this one is absolutely the best. She recalled standing down in the playground, looking up to the stretch of wasteland and wishing it could be more. And on the Launch Day the entire space really did look the part. The Gazebo had been hung with drapes and rugs and stocked with blankets to transform it into a brilliant den. The school had arranged for author Nickhola-Susanne La Brooy to engage the children throughout the day with outdoor story telling, music and drum sessions. 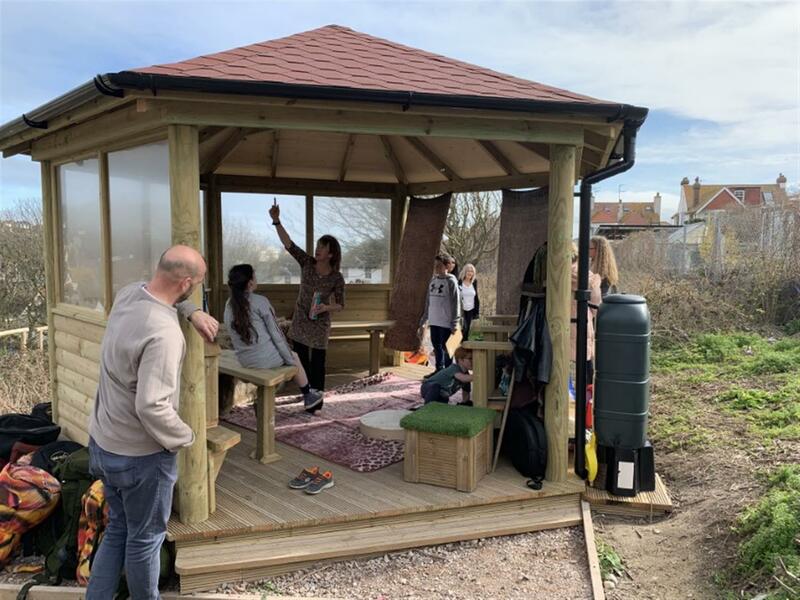 The Wildlife Trust, who were also involved with the project particularly around the pond area, came to talk to the staff and children about how the space can be used to support local wildlife. The school have great plans for making the most of their new Magic Pavillion and Wildlife Grounds. 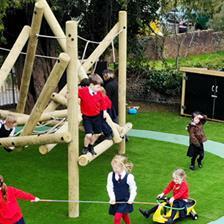 They will be using it to participate in Forest Schools for Reception, Year 1 and Year 2. It is sure to become a longstanding place of outdoor learning for all their classes and for all subjects across the curriculum. View our huge range of Outdoor Classrooms which includes Gazebos, Canopies, Lodges and Cabins here. 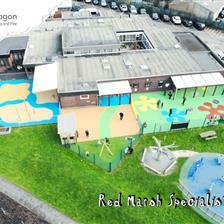 If you are considering developing your outdoor space at your school or nursery, and would like us to visit you for a free consultation, please do not hesitate to Contact Us Here. 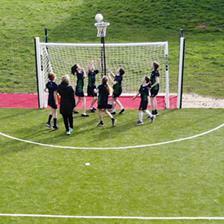 You can view our full range of products for outdoor learning, play and sports here.